Gold IRA GuideInvesting Should You Add Palladium to Your IRA? Should You Add Palladium to Your IRA? Palladium bullion first became an Internal Revenue Service (IRS) approved investment asset in 1997, after the United States Congress passed the Taxpayer Relief Act. Since that time, palladium coins and bars that meet minimum purity requirements are approved for inclusion in self-directed precious metals IRAs. Thanks to shocks in the global economy, shenanigans in Washington D.C. and the non-stop printing press that is the Federal Reserve, planning for retirement is becoming harder than ever. If you are looking to add a valuable investment to your IRA – one that offers some protection for your nest egg against future crisis – palladium may be the secret ingredient that you need! Palladium is a silver-white metal, very similar in both appearance and composition to platinum. It is the least dense metal included in the Platinum Group Metals. The metals in this group are particularly noteworthy for their use in industrial production, making them very valuable. Many jewelries and some watches contain palladium. In fact, alloys composed of palladium and gold form some of the highest-quality “white gold” jewelry in the world. Palladium is one of only four metals that carries a “currency code” from the International Organization for Standardization (ISO). 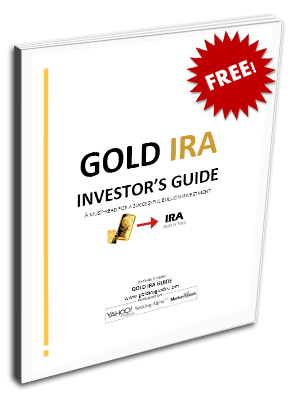 The other three metals – gold, silver and platinum – are the other metals allowed in an IRA by the IRS. Palladium is the least known of the IRS-approved investment metals. For this reason it is often overlooked by investors looking to add precious metals to an IRA. Like the other investment-grade precious metals, palladium holds inherent value – that is, it is a tangible asset that carries demand outside of investment purposes. This gives it a huge advantage over assets whose value can drop to zero, like stocks, bonds or dollars. The CRB Commodity Yearbook lists palladium as one of the rarest metals in the world, stating that “all the palladium mined to date would fit in the average sized living room.” Almost 90% of the current production of palladium comes from a small collection of mines in South Africa (40%) and Russia (45%). By comparison, palladium is roughly 15 times more rare than platinum and 30 times more rare than gold. Palladium is also typically cheaper to invest in than gold or platinum. This can make it an attractive alternative for investors who are looking for a more affordable way to start a precious metals IRA. Demand for palladium is anticipated to rise over the next decade. More than 60% of the demand for the metal came from the auto industry last year, and both China and India are expected to add a lot of automobiles in coming years. In fact, the Wall Street Journal reports that global automobile production could rise until 2018 and beyond. Palladium bullion has a far smaller circulation than either gold or silver, making it somewhat less liquid. Additionally, because production is largely contained to South Africa and Russia, palladium prices can be more volatile than other bullion. Recent uncertainty in Eastern Europe has threatened Russian supply of palladium. Combine that with the potential for increased global demand for automobiles, and there is a recipe for palladium prices to rise moving forward. There are several ways to indirectly invest in palladium, including through exchange-traded funds (ETFs) or the stock of mining companies. However, indirect investments do not hold inherent value the way that palladium bullion does. Holding physical palladium in an IRA offers a much better hedge against a devalued dollar or drop in the stock market. Per the Taxpayer Relief Act, palladium coins and bars with a minimum of 0.9995 purity may be held in an IRA account. All bullion must be certified by an “assayer”, typically NYMEX or COMEX, for purity assessment. Currently, there are very few palladium coins or bars which have been approved for an IRA. The most notable qualifying palladium bullion are the Canadian Maple Leaf coin and the Credit Suisse Palladium bar. Both are recognized around the world for their quality. All precious metals IRAs require a minimum initial bullion investment of $5,000. All subsequent bullion additions to the IRA must be at least $1,000. The IRS also requires that the bullion be held by a qualified “depository” to safeguard the metal. Take the first step towards adding palladium bullion to your IRA by requesting your Free Kit today!